I’ve already written about Ather Energy 450 and 340 electric scooters- you can read about FAQs here and detailed experience and review here. 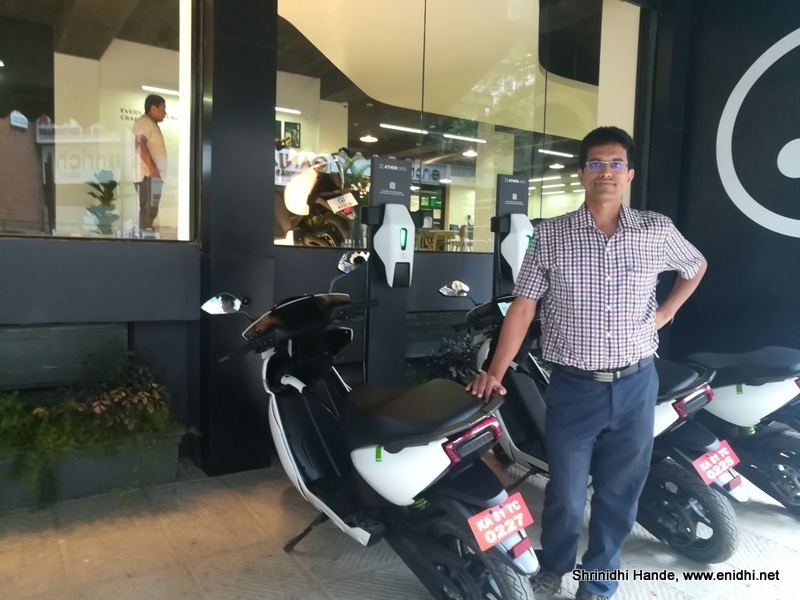 In this post, let us take a look at the big question- do I save money if I buy an electric scooter say Ather 450 instead of say Honda Activa, which is the most popular scooter in India. While doing the financials, we need to consider total cost of ownership- not just purchase price and running cost. There’re lots of variables- number of kms run, fuel price, potential maintenance expense, initial cost of purchase and so on. It is not possible to predict all of these with precision, hence we have to make some assumptions. Ather demands an initial purchase price two times that of a Honda active. However, Ather pays back in saved fuel bills every week. But then, there’re some regular maintenance expense that we should factor- battery that needs replacement every 5 years, AtherOne subscription amount, Insurance and other expenses that pops up at regular intervals. Thus we need to factor this and set aside an amount every month for these expenses. This aspect is often ignored in advertisements or pro-EV articles, making them look lot cheaper than reality. Ather’s battery is expected to last about 5 years and replacement costs 40000- this translates into Rs 670 per month. 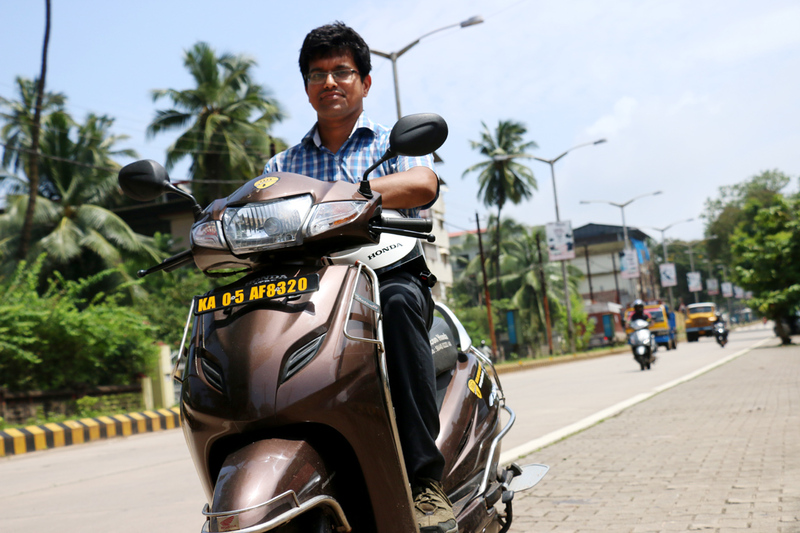 Ather insurance premium is Rs 3600 per year or Rs 300 per month. Now the number looks highly favorable for Ather, but there will be near zero resale value and vehicle may not be usable beyond 5-6 years if you’re not replacing battery. From above we see that for small usage (like 20 kms a day) Activa is highly economical overall- because its major expense component is fuel, which varies based on usage. Running cost/Electricity bill is least of Ather’s expenses. Ather’s major expense component-battery cost, Ather One subscription etc are irrespective of usage, so costs almost the same even if usage is low. Above calculation assumes a practical 50 kmpl fuel economy for activa- you can do the maths for vehicle and fuel economy you have in mind. These numbers may change 2-3 years from now- if electric vehicles get good acceptance and popularity, per unit cost will go down, so vehicle and battery may get cheaper. Let me know what you think-would you consider an electric vehicle? Ather is a brilliantly made product- minimalist design, nice looks, lots of space, extremely light, almost noiseless operation, good suspension, comfort and fairly capable for city use. If you're thinking 50-50, I suggest go ahead and book. Appreciate the detailed comparison provided here. Can see a lot of research has gone in making it as many details are considered without turning a bling eye to a single pointer. I travel around 25KM per day. i am planning too buy spender plus. does my decission is good? or do you have any better idea? I travel 25 km daily and i leave in Hyderabad city. If you are looking for a economic scooter in this petrol vs electric discussion, then okinOki Praise is a very good option to look into. With a practical range of ~ 130km per charge and a top speed of 65kmph, it definitely is a more practical buy considering life of a ungeared scooter could be around 30,000km at best. However a motorcycle may be a completely different. Luagage, speed, comfort etc. So do take point of comparíson and purchase wisely. It is not a function of age. It is a function of usage and budget- if you don't mind an additional 15-20k spend and want best one available, go for 450. If your usage is lesser and prefer to save a bit go for the cheaper one. Which scooter (Electric or Petrol) will be better for me to travel 50kms daily ? I need it to go to my college. I was looking for 22motors 'Flow' but it isn't available in the market till now even after getting launched in Feb'18. Yours feels like a 50-50 situation... 50 kms a day is bordering the daily range of ather- what if you've to go another 10 kms and run out of charge? If there're charging facilities closeby and if you're fine with initial high cost and other expenses go for Ather, given the rate at which fuel price is increasing, electric vehicle might work out better for you. Is it possible to use this vehicle for 17 yrs old as per government rules. Which electric vehicle can be used for 17 yrs old as per government orders?